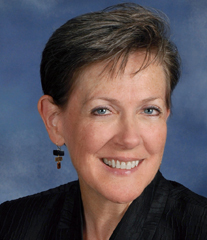 Helene Combs Dreiling, FAIA, of AIA Blue Ridge in Virginia, was elected 2013 AIA first vice president/2014 president. During more than 18 years of national AIA service, Dreiling has held numerous leadership positions including AIA secretary (2011-12), national vice president (2000), and national board membership (1997-98 and 2000). She is a past member of the board of trustees of the American Architectural Foundation and a past president of both the Virginia Society, AIA and AIA Blue Ridge. Dreiling currently serves as executive director of the Virginia Center for Architecture, a Richmond-based non-profit that develops the public understanding of architecture through a broad array of outreach programs. She has worked in several not-for-profit settings including the Colonial Williamsburg Foundation and at AIA National. From 2000-2009, her positions at AIA National included managing director of component relations, vice president of strategic initiatives, and relationships and team vice president, AIA Community. Dreiling’s private practice architectural career includes work with The Plum Studio, and The Dreiling Partnership Architects, both Roanoke, Va.,-based firms that she headed. She received her bachelor of architecture degree from the College of Architecture and Urban Studies at Virginia Tech in Blacksburg, Va.